A jail in Italy has opened the country’s only bakery behind bars. According to the website Euronews, the scheme in Padua’s Due Palazzi prison is designed to help inmates build their skills and self-esteem, in the hope that it will cut down re-offending once they leave prison. Repeat offending is a serious problem in Italy, where prisons are among the most crowded in Europe. The brains behind the bakery, Nicola Boscolett, told Euronews that prisoners involved in the scheme “start to change, they become the type of good worker that it is hard to find even outside, because they regain their dignity, self-esteem.They are able to send home money to their families”. The prisoners sell around 70,000 panettones – a traditional Italian Christmas treat – each year to 200 shops in the country. Supposedly, re-offending rates have already dropped to 1-2 percent from a national average of 70 percent for those involved in the project. Around 150 of the 800 detainees in the prison are paid to work on projects such as the bakery, with other options including a call centre and workshops making bicycles. This is not the first time that baking has been used to to give prisoners work experience and help them do something positive while incarcerated. Goods produced buy the Brixon inmates are sold to a variety of shops and restaurants, including the Borough market restaurant Roast and Caffe Nero. Japanese officials said a butter shortage threatening traditional Christmas sponge cakes was caused by cows being worn out by the hot summer. Some stores are limiting butter purchases to one pack per customer and they have been posting “We have butter” signs whenever supplies are replenished. Christmas cakes — sponge cakes filled with whipped cream and strawberries — have became a year-end staple in Japan, boosting demand for butter toward the end of the year. The Ministry of Agriculture, Forest and Fisheries said the shortage was a result of cows being too exhausted by Japan’s hot summer to meet their milk quotas. 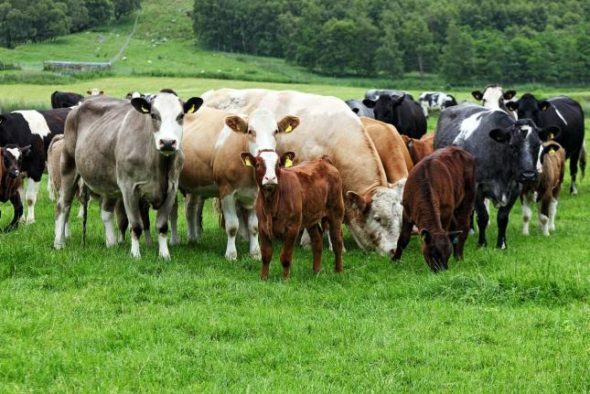 Farmers have also reduced production in recent years due to a falling demand, and the number of active dairy cows at the country’s farms has dropped from 2.11 million in 1985 to the current total of 1.4 million. Some Japanese bakeries said they have started using margarine instead of butter in the hopes customers would prefer the different product to inflated cake prices. SEOUL, South Korea — The Korean Air Lines Co. executive who delayed a flight in an incident dubbed “nut rage” bowed deep in apology Friday before facing questioning by transport officials. Her father, the airline’s chairman, also apologized and said he regrets he didn’t raise her better. Cho Hyun-ah, who was head of cabin service at Korean Air, was angered when a flight attendant in first class offered her macadamia nuts in a bag, not on a plate. She ordered a senior crew member off the plane, forcing it to return to the gate at John F. Kennedy airport in New York City. Clad in a long black coat, she lowered her face as she made the brief comments without making eye contact. It was her first public appearance since the Dec. 5 incident. Transport Ministry officials had summoned Cho for questioning over the possibility that her actions violated aviation safety law. 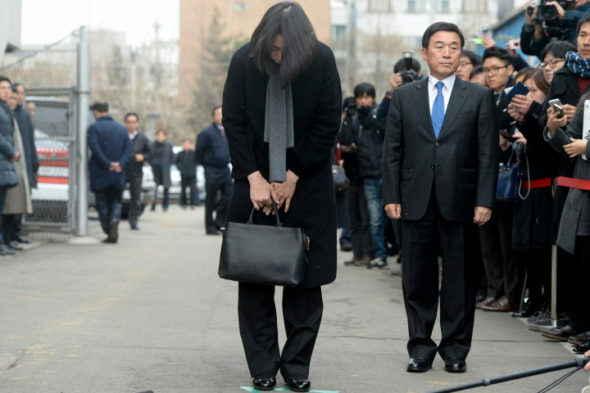 Cho Hyun-ah’s actions caused an uproar in South Korea and abroad. South Korean media called the 40-year-old a princess and some Koreans said she was an international embarrassment to her country. From the Daily Telegraph, UPI and NY Post.